A new, attractive, easy to navigate website breaks down complicated tax information into understandable components, and offers plenty of opportunity to contact VIP Tax for more information along the way. The new website was developed with SEO targets in mind, and draws new customers every day to VIP Tax. VIP Tax advertises their services in print in various local publications. ALX designed several options and sizes for these printed ads, so VIP Tax has options everytime they enroll in a new ad campaign. VIP Tax wanted to take advantage of their YouTube channel, to increase their ranking on search engines and improve their accessibility to potential customers. ALX created a lighthearted flash animation to advertise VIP Tax’s services on Youtube and Vimeo, and refresh their appeal to their target audience. 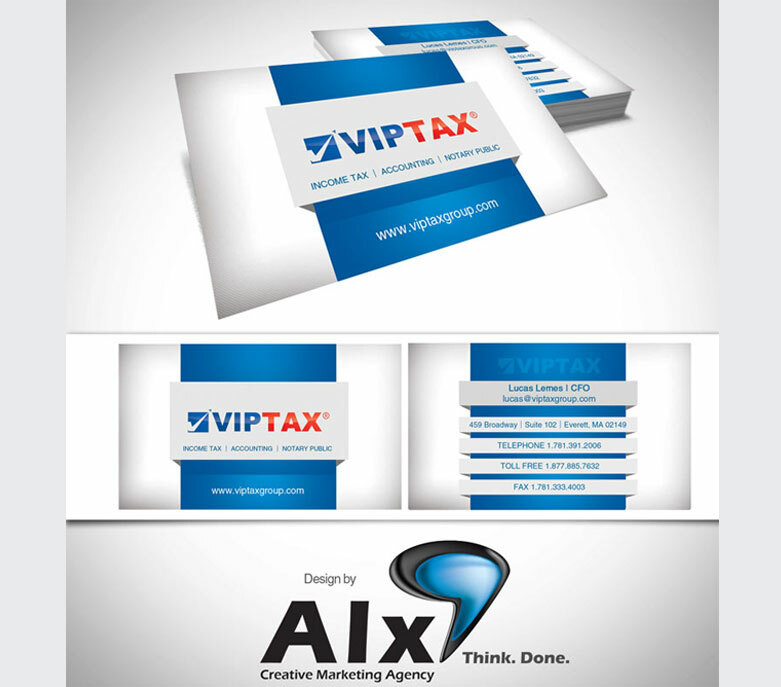 ALX created custom, full-color, glossy business cards for VIP Tax on a professional weight stock paper, incorporated their new logo and brand elements. Professional letter heads, invoices, presentation folders and envelopes were designed by ALX and printed in color on high-quality stock paper to re-enforce VIP Tax’s brand and lend a professional level of detail across all the important aspects of their business. 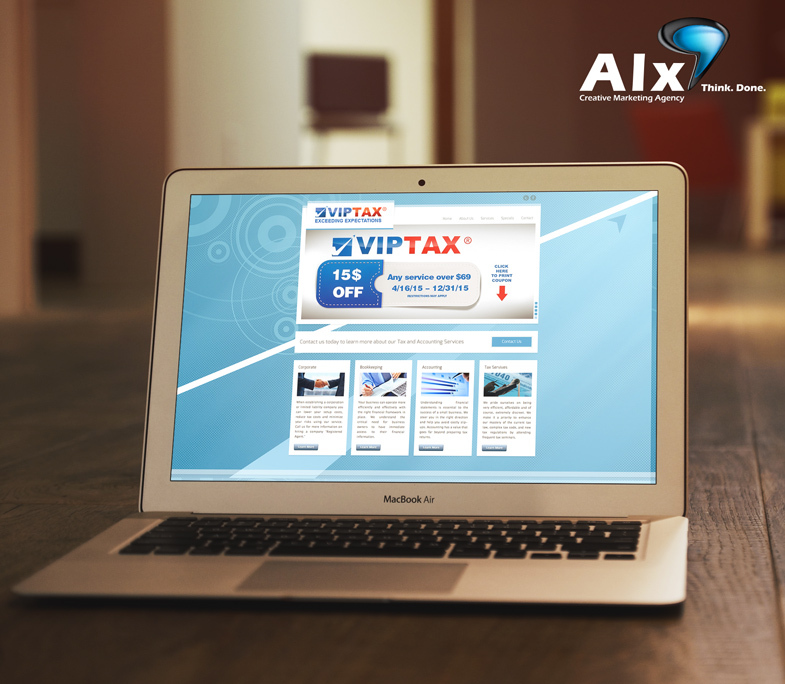 VIP Tax needed a logo upgrade, and ALX made it happen. A minimal, corporate color palette was employed with clean vector lines and a simple positive message. 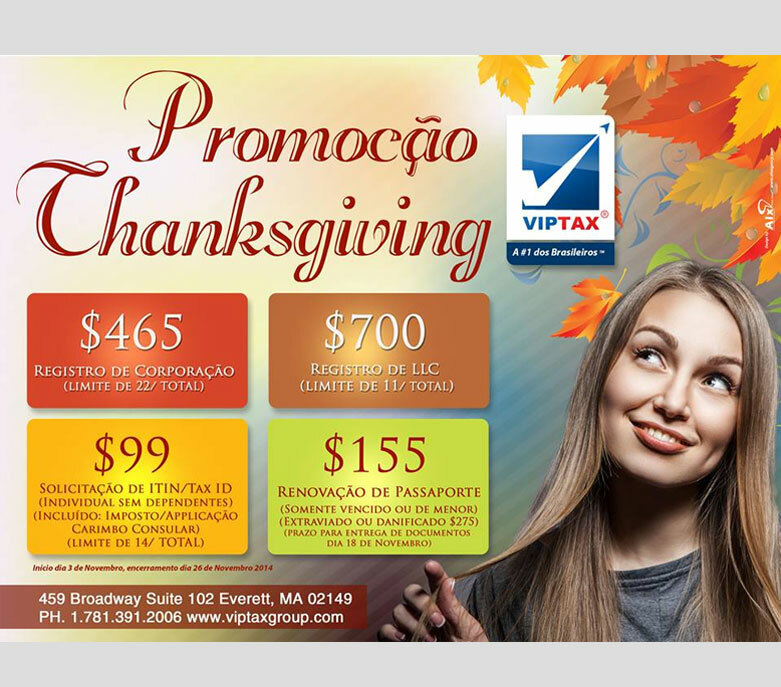 VIP Tax needs occasional promotional banners and signs to advertise a new service or seasonal reminder. ALX has created all the signage on display, both indoors and outdoors, for the business.